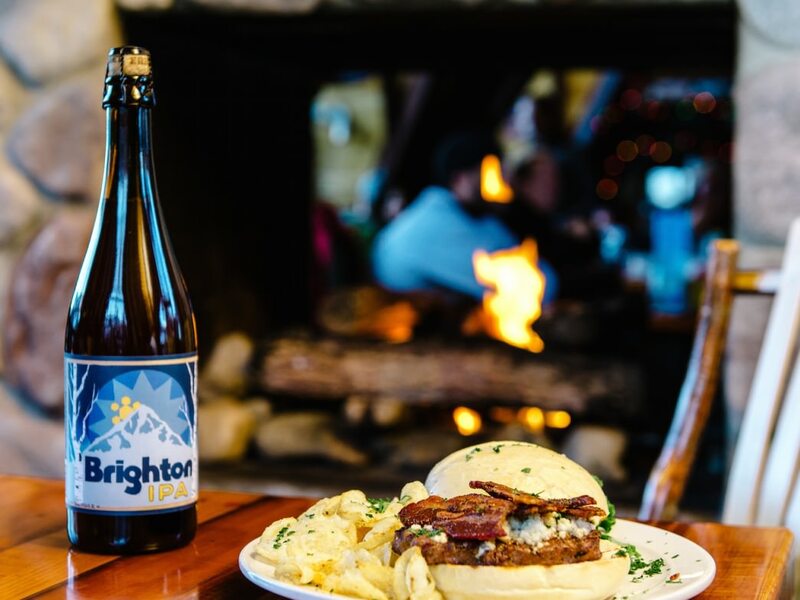 You’ll burn a lot of calories darting in and out of the trees that shelter Brighton’s powder pockets, so it’s good to have a meal plan lined up. Being a low-key place, Brighton doesn’t spend much time fussing over upscale restaurants, so don’t expect fine wine or truffles on your pizza. (As their website puts it, “Nothing fancy, just good chow.” That about sums it up.) Here, hot chow will do just fine. The Alpine Rose is the resort’s cafeteria-style option, serving all the standard resort lunch fare: chili, hot cocoa, cheesy fries, and cookies. It’s a quick place to grab something while you’re on the move. Molly Green’s Pub, on the other hand, operates at a more leisurely pace. Finding a table there is a tough undertaking around lunchtime on a cold, wet day, so come in a little early or late to dodge the masses and claim a spot. 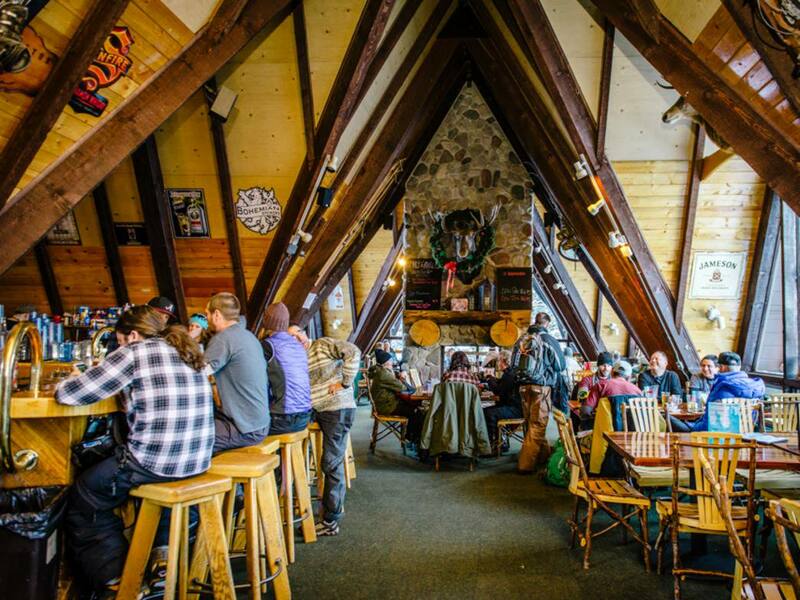 Perched on the upper level of an old A-frame building, Molly’s is everything a classic ski resort bar should be. Big windows let you see how hard the snow is falling, sports games light up the TV screens, and a big fireplace in the center of the room gives soggy skiers a place to dry off. If you have a sharp appetite on your way down the canyon after a day of riding, Silver Fork Lodge is an excellent option just a couple miles down-canyon from Brighton. The lodge is one of the older buildings in the canyon and still bears an old-timey, rustic feel. 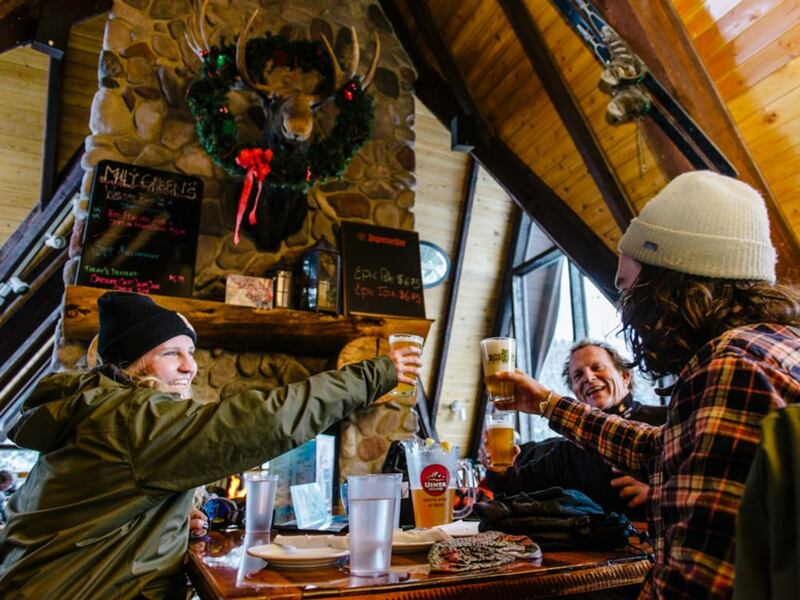 It’s usually uncrowded during lunch and après hours, and their menu is excellently suited for fueling up after a day on the mountain. 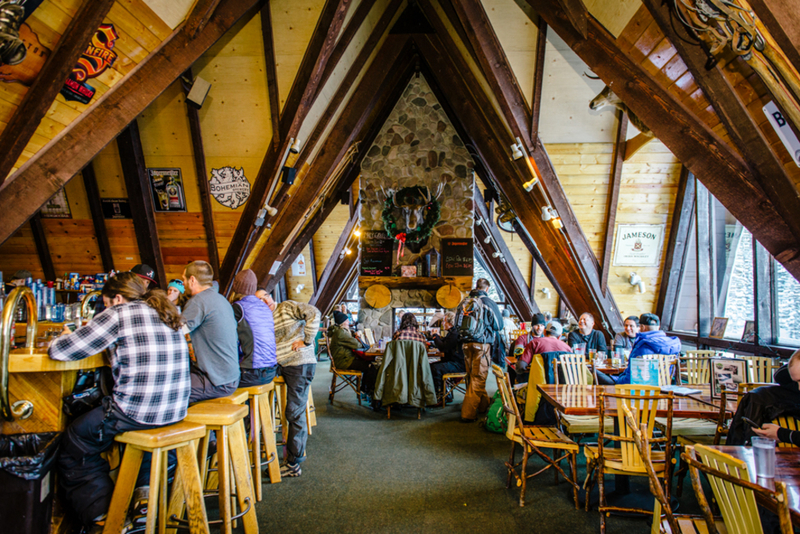 You can gaze upon Honeycomb and Silver Fork Canyon’s dramatic ridgelines outside the lodge windows while you wait for your beer. They have a roaring fire going at all times, so if you can snag a spot near it, you can dry out nicely while enjoying a big plate of lasagna. This locally owned lodge also offers downright amazing breakfast fare, so if you have time to stop in on your way up the canyon at the start of the day, order a platter of huevos rancheros with your coffee. Huevos are the breakfast of ski champions, as everybody knows.